65세 이상의 흑인계 미국인들이 H2A 계통의 제산제 (타카메트, 잔탁, 펩시드, 에이시드)를 장기적으로 계속 복용한 경우 치매로 진행될 가능성이 2.5배가 더 많다는 연구가 있습니다. 이유는 밝혀지지 않았지만 제산제가 비타민 B12의 결핍을 유발시켜서 그럴 가능성이 있습니다. 이 제산제를 장기복용하면 남자에게서는 여성형 유방형성 , 성욕감퇴, 두통 등의 부작용 등도 보고 됨. The association between cognition and histamine-2 receptor antagonists in African americans by Malaz Boustani, reported in the August 2007 issue of the American Journal of Geriatrics found, “H2As might be a risk factor for the development of cognitive impairment in African Americans.” (H2As are histamine-2 receptor antagonist, common oral antacids—cimetidine (Tagamet), ranitidine (Zantac), famotidine (Pepcid), and nizatidine (Axid). After 5 years of observational data this study showed that the continuous use of H2As by African Americans aged 65 and older was associated with a two and a half times greater risk of developing cognitive impairment (dementia). The mechanisms behind the loss of brain function are not clear. Possibilities include vitamin B12 deficiency associated with H2A use, and anticholinergic effects, which can lead to the development of delirium and other cognitive deficits. The connection between the foods you put in your stomach and the burning indigestion that follows is as clear as the scalding your hand suffers when dunked into boiling hot water. 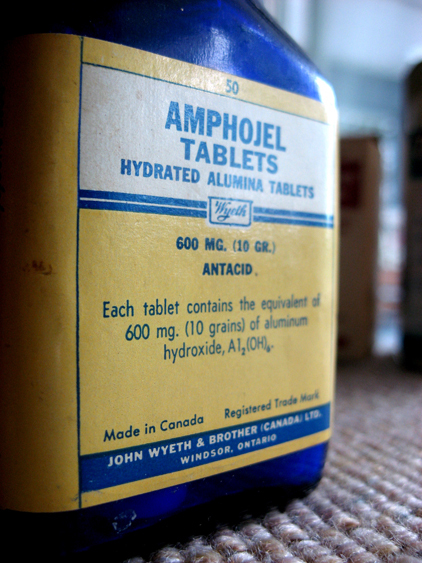 So why are antacids among the top three selling drugs in the Western world? Why don’t people simply change their diet? My experience has been the majority of people who attend my clinic report having frequent indigestion and about 25% are taking antacids when they arrive. Within a day of changing their diet almost all of them have discarded their antacids pills and are free of all stomach distress. If they are still having trouble, I ask them to stop the raw vegetables (especially the onions, green peppers, radishes, and cucumbers), all fruit juice (the whole fruit is fine), and hot spices. I will also raise the head of their bed by 4 to 6 inches. These antacid pills are powerful enough to stop the production of acid by the stomach; to believe they have no other effects on the body is naive. Common long term side effects include: breast swelling in males (gynecomasty), loss of libido, impotence, mental confusion, and headache. You should not be surprised they can affect your brain and make you temporarily or permanently dumber. Boustani M, Hall KS, Lane KA, Aljadhey H, Gao S, Unverzagt F, Murray MD, Ogunniyi A, Hendrie H. The association between cognition and histamine-2 receptor antagonists in african americans. J Am Geriatr Soc. 2007 Aug;55(8):1248-53.